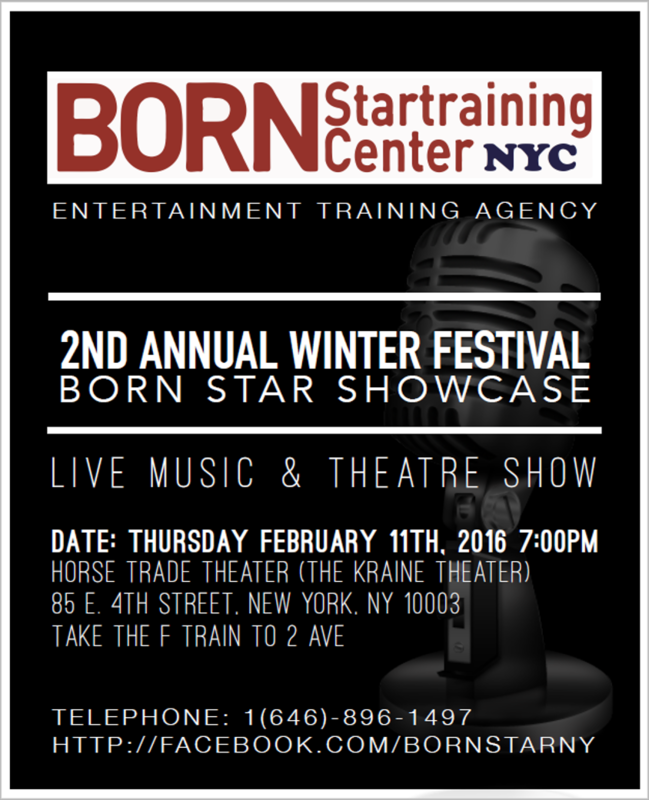 Born star training Center NYC - Born Star NY 2nd Annual Winter Festival Showcase! Born Star NY 2nd Annual Winter Festival Showcase! 2nd Annual Winter Festival Showcase! Take the F Train to 2 Ave.